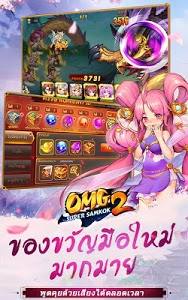 OMG2 – Super Samkok No.1 3D Card Battle Game of Three Kingdom. 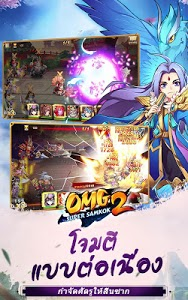 Epic battlefield in dynasty and presents a lot of powerful heroes in addition more than 100+ unique from “Chronicles of the Three Kingdoms”. Fighting alongside legendary warriors such as Lü Bu , Guan Yu , Zhuge Liang , Liu Bei and Cao Cao. 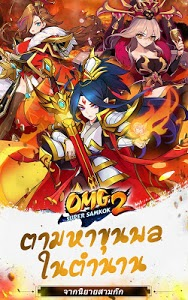 Smooth control and stunning visuals with splendid special animation effects and detailed 3D graphics an ultimate game experience. 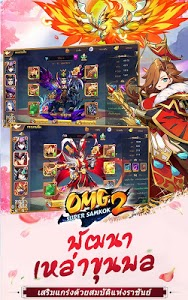 Recruit legendary heroes that based on Dynasty of Three Kingdoms. 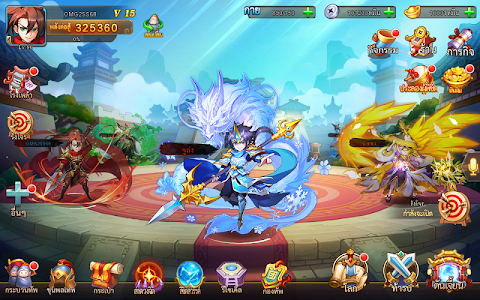 4 Type of heroes Knights . Defender , Healer , Magic. Join your allies and attack enemy to complete the ultimate achievement of the legacy of overlord! 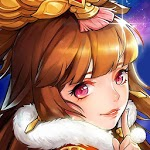 Collect 5 Star heroes of the Three Kingdoms, train, level up, growth and supply them with superior weapons. 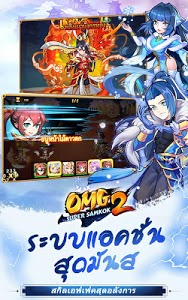 Similar to "OMG 2 - Super Samkok"